People Can Fly is working on two projects. CEO: "We're ready to show what we're capable of"
People Can Fly is working independently and going strong. This year we’ll learn more about their smaller project, but the official announcement of the high-budget shooter from the creators of Bulletstorm is something we’ll have to wait for. Polish studio People Can Fly, active since 2002 and known for games such as Painkiller, Bulletstorm and Gears of War: Judgment, has quite an interesting history. The company, founded by Adrian Chmielarz, established a close relationship with Epic Games. Starting in 2007, the latter has steadily acquired more shares in the Polish enterprise to eventually rebrand it as Epic Games Poland in 2013. In June last year it was announced quite unexpectedly that the studio regained full independence and returned to its old name. Now, under the leadership of CEO Sebastian Wojciechowski, the studio, being one of the most recognizable Polish developers, is facing new challenges and has some new, yet undisclosed projects, underway. 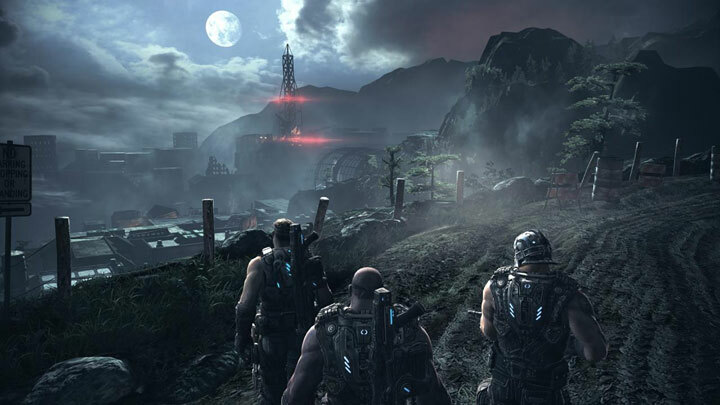 It's been threee years since the release of Gears of War: Judgment – the last project from People Can Fly. Lukasz Malik: In June 2012 People Can Fly went under the wing of Epic Games, and Adrian Chmielarz left the company. How did the transition process look like and how did it affect the team? Sebastian Wojciechowski: In a formal sense, not much happened. The only change was that Epic, which had already been the majority shareholder, bought the remaining shares. The transition was therefore not a big formal change; it was rather image-related. The team – save for the three founders – remained unchanged. More important was how our role changed from that moment on. We were just finishing Gears of War: Judgment, which was released in 2013. Once Gears of War was released, did you have any project of your own or did you help to create Fortnite? We didn't have anything of our own, but we started to work more closely on the projects developed by Epic Games; one of them was Fortnite. Was it one of the reasons why you decided to go your own way? You wanted to have something that would be 100% your creation? Yes. After two years we decided that cooperating with Epic Games on their projects was not the role we envisioned for ourselves, being a studio that already had several cool games in its portfolio. We felt that we were a company capable of creating something on our own – and so in 2015 we parted ways with Epic. So now you’re working as a fully independent studio? Yes, and it comes with complete freedom. We created the idea for our new game in our studio and our people are developing it. We don't have the support of the Epic group anymore – which had its advantages – but now we can really show what we’re capable of. Your split with Epic Games was amicable. Do you still collaborate with them on the Unreal technology? We parted ways on very good terms. From the very beginning we knew that we couldn’t go independent just like that, because maintaining a team of forty people required a lot of financial resources. Thanks to the contract with Epic, we had the money needed to maintain the studio. And since few people are required at the conceptual stage, we were able to simultaneously develop our own game and support the studio by working on an outside project. But that’s all in the past now, and today we are using all our manpower and resources for our own projects. Released in 2002, Painkiller proved that there was still room in the market for old-school shooters. 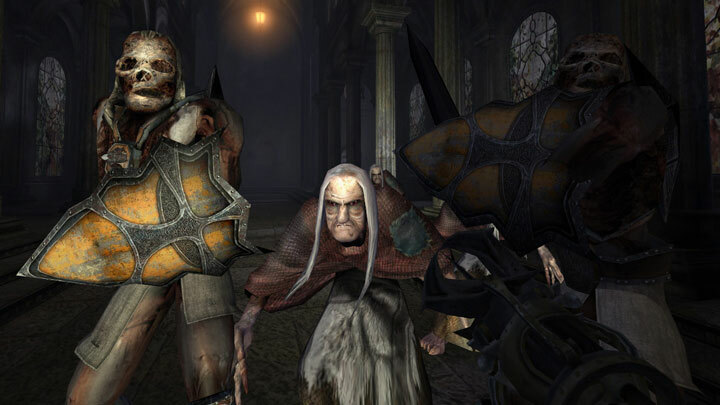 Apart from the name, logo, and a penchant for the FPS genre, what remains of People Can Fly? Are many members of the old team working with you now? A part of the company are the people who have been with us for years, since the times of Painkiller. But we also have younger employees like me – I've been here for four years whereas the older ones have eight, twelve or thirteen years of history with the company). The moment we parted ways with Epic Games, the average time of employment in PCF of our developers amounted to 7 years, so we're talking about an experienced and close-knit team. At the moment the studio employs fifty people, and we are still building the team that will make it possible to create our game. There's still about 17 job advertisements on your website. Are you still looking for new people? Is it hard for Poles to meet your requirements? It is definitely not easy. But a lot has changed in recent years; several medium-sized studios emerged that have trained an entire crowd of talented people, and now we are trying to have them work with us. What is your role as CEO of People Can Fly? Do you focus on the business-related activities or are you eager to get involved in gamedev and the creative endeavors of your new undertaking? The role has always been the same – I’d call it "biz dev". I try to stay out of creative matters, because I know my place in the company, and just because I'm the boss I'm not going to usurp the right to decide in what direction the game should go. Still, as the person who's also responsible for development, I'm part of the team that creates the game. Are you going to publish your new game on your own or use the help of Epic Games? We've already established cooperation with a certain publisher, but at the moment I can't disclose which one. You are working on a big AAA shooter. I assume that you can't reveal much about it, but can you at least say when we can expect more details? We’ve been working on it since the beginning of the year. Before that, we were polishing the concept. So for any details you'll need to wait until next year. Should we expect something in the vein of the first productions from People Can Fly – a fast and crazy FPS – or are you taking a different route this time? I can't answer this question, but I assure you that the mere fact of acquiring a publisher at such an early stage is a testament to our vast experience. And that's what we’re using in the development of the game. You also have a smaller project in store. Perhaps this year you'll shed some light on this one? Is it a shooter as well? At the moment I can't reveal any details, but soon more information should appear. In terms of gameplay and graphics, Bulletstorm hasn't become outdated much. Unfortunately, Games for Windows LIVE is making things difficult for PC players. 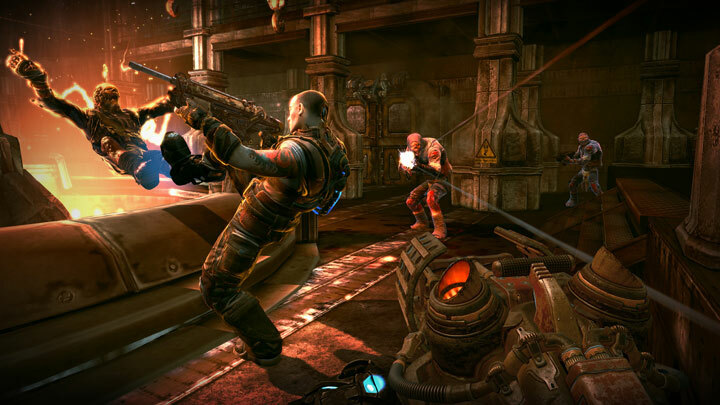 Bulletstorm is still on Steam – and it's heavily neglected. Among other things, it still requires Games for Windows Live, so buyers have problems with the installation and post negative opinions. Since you’ve never lost the rights to this brand, is there still a chance we’ll get a new version, without this platform, or are things limited by the publishing agreement with Electronic Arts? The contract with EA is exactly the reason why it's difficult for us to change things, but we are aware of the situation and we would like to do something about it. For now, I have to keep the details under wraps. We'll see how things work out.